The Under-18s held on for a gutsy win against Sturt at home on Saturday, running out three-point winners in testing conditions. In very difficult and windy conditions for both teams, the boys had a great first quarter after stand-in Captain Nick Steele won the toss and wisely kicked with the wind. Kicking with the breeze, we scored 5.2 to 0.0 in the first term. It was certainly the kind of start players the were after. The second quarter was a struggle, as Sturt now had the wind advantage and kicked 4.4 to our 0.1, but the signs were still good for our lads as we had some great opportunities to kick goals into the wind but just failed to finish the work. The second half was almost a direct copy of the first. Our guys dominated field position with the wind and kicked 4.4 to 0.0 in the third quarter and went into the final break 33 points up. However, in the last quarter, Sturt went all out to bridge the gap and managed to get within three points with about three minutes left to play. To their credit, out guys were not going to surrender this game and were able to win the ball in close and get it into our forward half, as well as defend any of Sturt's forward entries and held on for a memorable victory. It was a great win for all involved, players, coaches, staff and parents. Big Sammy Draper was our best player and he continues to develop as a footballer, while U16s aged player Tate Coleman was also impressive with three goals. 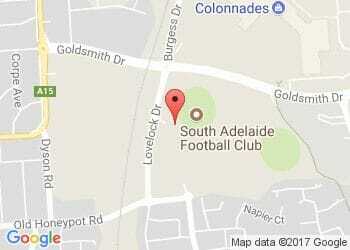 Now we get ourselves ready for another top three team in North Adelaide in annual the Sammy Davis memorial game. We are playing Saturday, August 6 (the day before the seniors) at Hickinbotham Oval. It would be great to see some Panthers supporters at the ground to help cheer the lads on!